It has been a while since I've posted a new blog and/or podcast, and I've missed you all! Thanks for all of the emails and support you continue to send me, especially when myself and the whole Tonight Show staff got laid off for a month and when we were off the air for TWO months due to the writer's strike that is currently going on in Hollywood. The Tonight Show is back on the air now, and all of our super-cool web-features are back up and running (that's what I'm in charge of there). Click HERE to check out the Tonight Show website and all the cool original web shows and content that's there (pssssst-especially The John and Ross Show, (click HERE), featuring Ross Mathews and John Melendez from The Tonight Show. I'm a producer on that show, it's great fun and you get cool never-before-seen behind the scenes footage of the magic that is The Tonight Show. Watch the Q&A sessions to see how you can send in a video question and be featured on the NBC website in and episode of The John and Ross Show!). OK, and now for the GREEN! "You know when you subscribe to DirectTV and they make you buy the DVR? Well, if you leave DirecTV, the DVR becomes useless, you can sell it, and even then the person will have to get a new card. Well, inside the DVR is a150 gig hard drive. You can pop it out and put it into your PC, not sure about Macs tho. Someday I'll get around to buyin' a Mac. You just have to reformat the hard drive and you have an extra 150 gigs to store media or backup you PC/Mac or whatever. They did make you buy it." 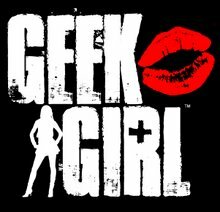 So make sure you email me at geek.girl@earthlink.net with your Green ideas! And keep the regular questions & comments coming.